Veronica Roth is the best selling author of the Divergent series. 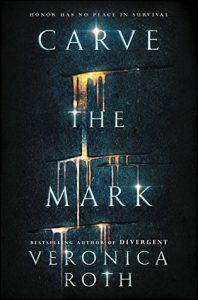 Kyle Willoughby and Claire White discuss her latest entry in YA science fiction, Carve the Mark. In the novel, there are many inhabited planets, and each have their own “oracles” who divine visions of the future. Kyle draws a connection between these seers and the most famous oracle of the ancient world. Claire describes Veronica Roth’s meteoric rise from college senior to one of the world’s highest paid authors. Our hosts conclude with their thoughts on the book, as well as their questions about its world, and its plot.